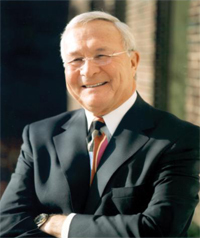 The Oakland University School of Business Administration and the Auburn Hills Chamber of Commerce will welcome Oakland County Executive L. Brooks Patterson in delivering a Keynote Breakfast Address focusing on the county’s improving economic outlook. Attendees will learn about a plan to build on Oakland County’s record of success through economic development and quality of life programs. Patterson will also answer audience member questions following the presentation. The event will take place from 8-9:30 a.m. on Wednesday March 28, in the Oakland Center Gold Rooms on the campus of Oakland University. For interactive and printable maps, visit oakland.edu/map. Tickets for the breakfast are $25 for chamber members and $30 for non-members. To register, visit auburnhillschamber.com or call (248) 853-7862.